I love cheeseburgers (especially burgers with bacon!) but rarely have them now that I watch my calorie intake so closely. 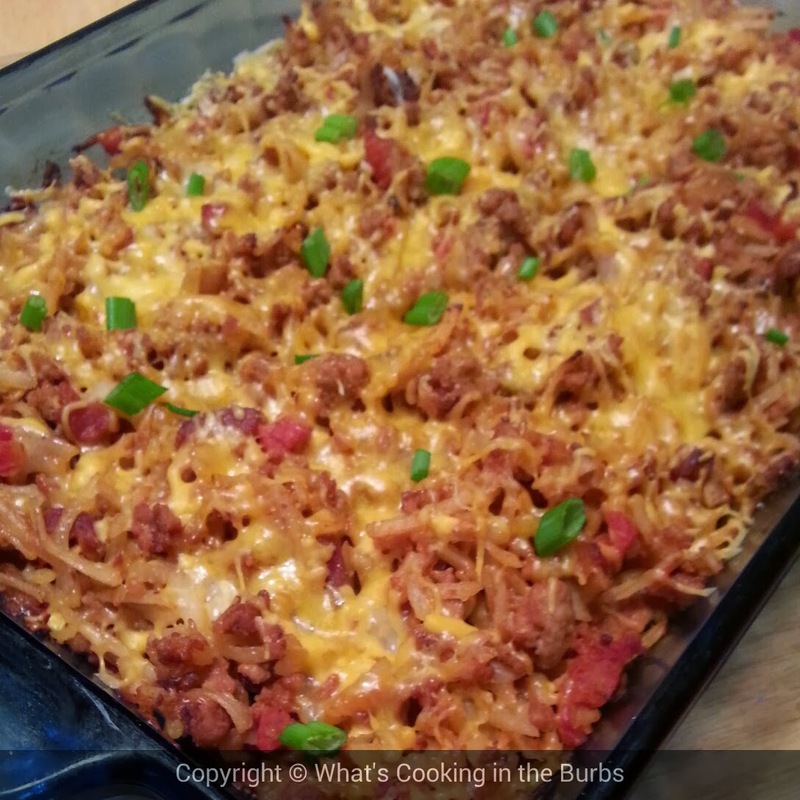 I've been craving them like crazy lately and decided to curb my craving by creating this Skinny Bacon Cheeseburger Bake. Last year I made a cheeseburger and fries casserole and it was a hit with the family so I wasn't too worried about this one not being an instant hit. I wasn't wrong either. My toddler asked for seconds and my hubby couldn't get enough of it either! In a large skillet brown ground turkey. Add in your onion soup, beef broth, apple cider vinegar, Worcestershire, ketchup, garlic, tomatoes, half of your shredded cheese, and mustard. Let simmer for 10 minutes. Stir in bacon. Combine meat mixture with potatoes and cover with remaining cheese. Bake for 35-40 minutes or until potatoes are tender. Enjoy! This looks so good. I'm on ww and I am excited to find a healthy cheeseburger recipe. Thanks for sharing!